Benjamin Franklin once wrote, “A place for everything and everything in its place.” With that thought in mind, may I introduce you to — Microsoft OneNote. You can choose from plenty to-do list services, organization tools and personal time management apps. One of the things most of them have in common is that they serve one aspect of a person’s life very well – either the online life, or the offline life. Rarely both. Good examples are ToDoist (why you should upgrade to premium How Much More Productive Is ToDoist Premium? Here Are 6 Good Reasons To Upgrade How Much More Productive Is ToDoist Premium? Here Are 6 Good Reasons To Upgrade I kept using ToDoist for free for a while. But kept coming up against things I wanted to do and couldn't. Email reminders. Adding notes to task. Things that would really add a whole lot... Read More ) or gTasks (our review Use gTasks To Synchronize Your Tasks With Google [Android] Use gTasks To Synchronize Your Tasks With Google [Android] These days, there are a million and one great ways to manage a to-do list online and via mobile apps. That said, there's often still a few people who are not yet using one of... Read More ), which both are fantastic tools for organizing your life whenever you have access to your web browser and the Internet. And when you feel like doing some organizing while you’re offline somewhere without the Internet? Not so much. 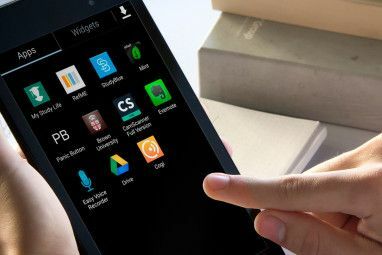 Sure, desktop apps are available, but they are rarely as functional as the online version, and usually also require an Internet connection. The need for an offline organization tool that also exists on the web is apparent by how many people look for ways to manage their Google Tasks on their desktop 5 Ways To Access Your Google Tasks 5 Ways To Access Your Google Tasks Read More . While I love Google, it is surprisingly Microsoft that has come up with the perfect solution, and that solution is Microsoft OneNote. It was about two years ago that Saikat described just how awesome OneNote can be 10 Awesome OneNote Tips You Should Be Using All the Time 10 Awesome OneNote Tips You Should Be Using All the Time Microsoft OneNote is just as good as Evernote. OneNote is the digital equivalent of a binder, giving you more organizational control. 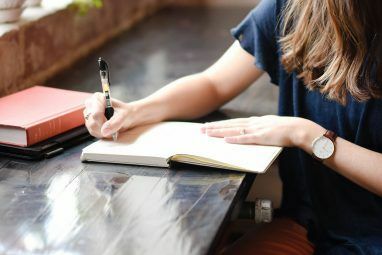 We show you effective note-taking tweaks you'll love. Read More . In that article, he explained that you could sync your offline OneNote to itsAndroid or iPhone apps – transforming this desktop organizational tool into a mobile productivity toolkit. What is even more impressive two years later is that everything you do to organize using your desktop OneNote application, is all accessible online through your OneDrive account, at OneNote Online. To take full advantage of this mobility, make sure to install OneNote for Android, or OneNote for iPhone. The ability to access your organized lists and information from anywhere is really the key behind true productivity. While using OneNote, you may discover just how useful creating tables inside of your pages is. Tables let you track data over time, but one of the problems with creating lots of tables inside of OneNote, especially if you start using a lot of sections in OneNote, is finding the important tables. OneNote makes it really easy to save quick links to those tables by right-clicking the table and choosing “Copy Link to Paragraph”. With that link, you can either store all of the most important “Quick Links” in a “Table of Contents” page right on OneNote itself, you can save the links in your Browser Bookmarks for important OneNote pages, or just create a shortcut right on your desktop. You can save links to all different areas of your OneNote collection of sections and pages. Just right click on the section, page, text element, or any other object inside of OneNote that you want to access quickly, and copy the link. This is one of the easiest ways to boost your productivity. Rather than wasting time looking for where you put things, you can save the items that you use the most right at your fingertips. If you’ve always liked services like Evernote (our Evernote manual), then you’ll absolutely love the “Send to OneNote” tool that comes with OneNote. 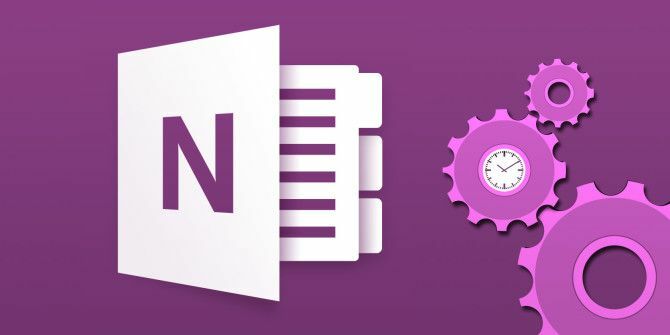 This is a service that runs all the time on your PC, and lets you quickly save a quick note to OneNote. No matter what you’re doing on your computer, you can quickly create a note by pressing Windows Logo + N.
You don’t even have to open OneNote to create the notes. Later, once you have time to sort through and organize those notes, you can access your notes in the Quick Notes section. Of course, if you find yourself doing a lot of web clipping, you’ll want to install the OneNote Clipper plugin that’s available for major browsers. This gives you one-touch clipping of entire pages to your OneNote account. Later, you can access those web clippings in your Quick Links section. You can organize the clippings into your other existing sections, or just read the clipping and then delete it. The tool also lets you press Windows Logo + S to take a screen capture of your current desktop (or a section of it). Then you can send that instantly to OneNote. 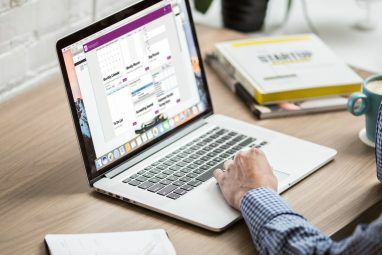 This shows the flexibility of OneNote to blur the lines between online and offline – the ability to send a desktop snapshot right to your OneNote account in seconds is something that you’d normally struggle to do with many other web-based note-taking apps. One of my favorite features in OneNote is the ability to add more than just text. You can also add recordings – either audio or video! Once you start using this, you’ll always wonder how you ever got along without it. The ability to record audio especially, during those times when you can’t actively type, is a huge productivity boost. Imagine – now you can record an office meeting rather than trying to keep meeting minutes. Or you can record a lecture at school without getting distracted trying to type as fast as you can in class. Just make sure that you’ve hooked up a good microphone to your laptop if you do plan on using this feature often to boost your productivity. The one moment I celebrated was when IFTTT introduced a OneNote channel. If you haven’t experienced this yet, you’re in for quite a treat. You can add OneNote information based on all kinds of IFTTT triggers. For example, how would you like to have a new OneNote page automatically created for each story covering topics you’re interested in? One way to do this is to use a Reddit trigger for “New post from search”. Next choose the OneNote Action to create a page from a link – this will add a page to your default OneNote section (usually Quick Notes), and then you can go in and sort each of those into whatever section you like. Here’s what the resulting “feed” looks like. As you can see, you can click on any of the pages to see the story details (title, who posted it, and the link), and either delete that entry or move the story somewhere else in OneNote. When you consider that IFTTT has triggers available from things like your email accounts, WordPress or Buffer, or all kinds of content feeds like Craigslist, Flickr or The New York Times, the possibilities of automating new content into your OneNote account is really only limited by your imagination. Do you use OneNote 5 Ways to Take Advantage of Microsoft OneNote 5 Ways to Take Advantage of Microsoft OneNote Read More ? Are there any other creative ways that you’ve used OneNote to boost your won productivity? Share your ideas and insights in the comments section below! Explore more about: Microsoft OneNote, Note-Taking Apps. One thing to note: OneNote for Android does not support password protected sections which is a deal breaker for me. Great article and great conversation following. Our OneNote goal is to replace our conference program with a OneNote notebook. Now that ON is available on almost any device, we're hoping we can just send a link to our conference participants. I have a question. When I upload from office lens it always creates a tab of quick notes, but I would like to select the tab that I would like to upload to instead of having to move them to the correct category afterwards. Is this possible and if not when will it be possible? The uses for OneNote are endless but for me I take a Picture with my nokia lumia 1020 through office lens and save all my receipts and bank statements and orgnize them by month so whenever I need them they are there. These are great comments. Some features don't work for the Mac. Are these listed? I don't own a Mac so can't test, but would be interested in that list as well if anyone can test. Thanks Glenn. Windows S no longer works for one note in Windows 8, this has been hijacked as one of multiple ways to search from anywhere. Interesting - good to know. Thanks for mentioning it. "Do you feel the need for an offline organization tool that also exists on the web?" No, the NSA already has enough information about me without putting it on the Web. In that case, just use it as an offline tool alone - no need to sync it to the online account! Thanks for the time and effort put into your posts. Remarks regarding offline / online issue refer. OneNote's greatest benefit should be ubiquity by means of multiple-device useability - desktop through mobile. That's not true for OneNote or any of other software like it, all of which require use of third-party online data storage. Two of the bigger problems with this are cost (internet data) and security (e.g. privacy). It used to be different - e.g. until recently Windows desktop synchronization with Windows Mobile via cable or bluetooth was simple, stable and standard. No they don't, you're not interesting enough to have an NSA file. You have to be a person of interest for them to actually care about what you're putting on your to do list. Believe me, I actually do have an NSA file on me. Wow, thanks for replying to a comment I made THREE YEARS AGO. You've actually made my point - anything and everything I do online can be used against me, YEARS LATER. As a university professor in the USA, I suggest students ALWAYS ask permission before recording lectures, but this is intended as a point of courtesy. To the best of my knowledge, recording is legal as long as one of the parties involved in the conversation is aware that it is being done -which rules out third-party wiretapping without a warrant. But it is safer to not make assumptions, as the situation in Canada shows. Thanks for the correction, Michel! Thanks to both of you - this is clearly an important consideration and I do hope students take note to talk to the professor before using OneNote to record lectures! I would agree that you should always let the professor know ahead of time that you will be recording the lecture, not only is it a courtesy but no one likes finding out after the fact, and they do hold your academic career in their hands so you should tread lightly. You can also search audio (and video) recordings for words in OneNote for words once the feature is enabled. OneNote also does a fantastic job of handwriting recognition. This combined with recording the lecture and making it searchable makes note taking in class a breeze. And lets not forget it's ability to do math simply by putting in the equation followed by the equal sign. I've used OneNote for years and recommend it highly. I use it to plan and organize and outline novels, as well as for a general notebook. Because you can drag and drop the page tags along the side, it makes re-arranging book length projects incredibly easy. I sometime actually write with it, and then easily send the text to Word. It's much better than the overly complicated and incompatible Scrivener. One thing, though. I teach at a university that has a strict policy against students recording the lectures. Additionally, here it Canada, it's illegal to record conversations without notice and permission. Worth mentioning when you recommend to students that they record lectures. Apple Notes vs. Microsoft OneNote: Which Note-Taking App Is Best for You?